AS MANY AS 70 members of Sinn Féin in east Cork are understood to have resigned last night, but the party said today it had not been notified of this. A statement issued by Sinn Féin’s Cobh cumann last night said that 54 members had resigned from the party in the wake of the sanctioning of two councillors in the area earlier this week. 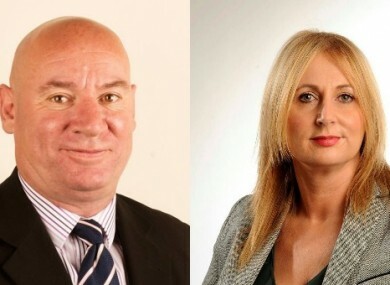 On Monday Sinn Féin expelled Cobh-based county councillor Kieran McCarthy and suspend Mallow-based Melissa Mullane for one year following a review of the party’s organisation in the constituency. The statement from the 54 members criticised the “unjust, undemocratic and reprehensible manner” in which the two councillors were treated. Separately TheJournal.ie has learned that as many as 16 members based in Carrigtwohill are also resigning from the party. Yesterday, 15 members in Fermoy were said to have resigned although Sinn Féin disputed this figure and said five of those were not members and an additional four were not aware of the resignation letter that had been sent to the party. This website has learned that the Fermoy cumann, the longest standing in the region, plans to appoint a spokesperson and make a further statement in the next 24 hours. Sinn Féin said in a statement today that it had not received notification of the resignations being reported in the last 24 hours. The party structures in the area are stood down. Over the coming days, the party will be contacting members in the East Cork constituency to brief them on the situation and to ensure that they have the full information relating to the constituency review. The party held a meeting with members from Mallow, Fermoy, Carrigtwohill, Youghal, Midleton and Mitchelstown. A spokesperson said that over 20 members attended this meeting, including “two county councillors and key activists”. The controversy began when Sinn Féin confirmed on Monday that it had expelled councillors McCarthy and Mullane. Nobody likes to lose party members but now is the time to move on from this whole episode and I am looking forward to getting on with the party’s work in the constituency and building for the future. McLellan said she was looking forward to contesting the selection convention which will be open to any party member to put their name forward for selection. Previously, Sinn Féin rules stipulated that a sitting female TD could not be challenged by a male candidate, but the convention in Cork East will now be open to any member of the party. Email “As many as 70 Sinn Féin members in Cork are resigning from the party”. Feedback on “As many as 70 Sinn Féin members in Cork are resigning from the party”.